The mobile marking device jetStamp 1025 - Made in Germany - can print up to a print height of 25 mm (1"). The advantage: This can be done with only one print cartridge. The diverse print spectrum includes freely adjustable continuous 1-D and 2-D barcodes, date, time, texts, numbers or graphics, such as the IPPC logo or company logo. The desired print images can be created as standard using the "PCset graphic" software supplied. By an individual extended programming (customer side) the data transfer can take place via Windows based programs like e.g. Word, Excel as well as via a barcode label software or ERP systems. For a smear resistant impression on various surfaces, such as: Paper, cardboard, wood, metal, plastics and textiles there are two types of ink available. Finding the right connection is important, especially when it comes to the smooth and fast transfer of data in processes. In marking, the focus is on mobility and coupling with the leading systems and their data. 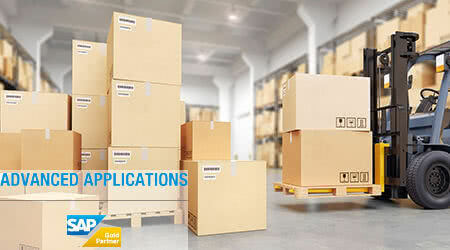 In order to find the best solution for data transfer from SAP directly to the REINER marking devices, Ernst REINER works closely together with the specialists from Advanced Applications. Würth Elektronik GmbH & Co. KG is a leading manufacturer of PCBs in Europe. Using the mobile marking unit jetStamp graphic 970 ensures traceability in the production process. The imprint, comprising a machine-readable DataMatrixCode and the batch ident no. in plain text, permits a reliable labelling solution that is visible and unique at all times. The gate supports and optimises the inbound goods process with two work steps. It is integrated into a workflow system and ensures correct assignment of documents to goods. 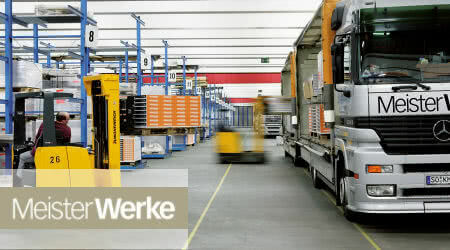 This is where the employees of MeisterWerke took action to create pragmatic improvement: Optimisation of logistics bottlenecks in inbound goods skilfully combined with demands for accelerated processes for servicing suppliers and forwarders.